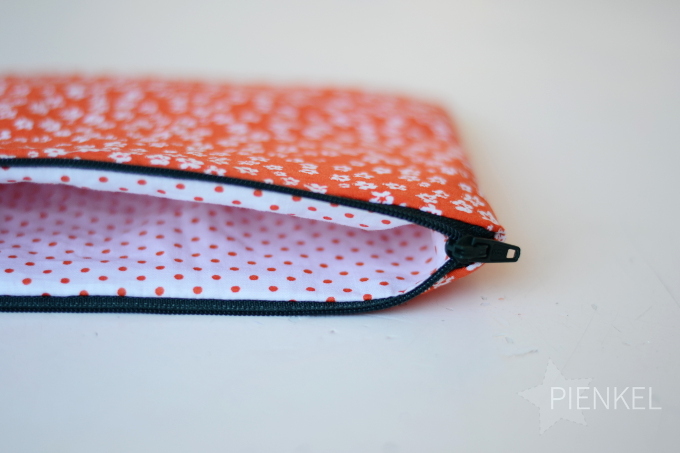 How to sew Zipper Pouches - Peek-a-Boo Pages - Patterns, Fabric & More! How has your summer been? This weekend is our last weekend of the summer holidays, Monday morning school starts again… We’ll miss the leisurely days without any agenda, but the fresh start of a school year does have a bit of magic of its own. 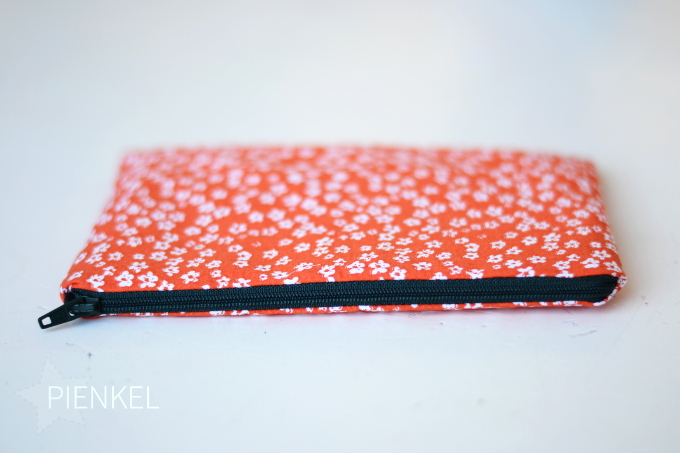 So I wanted to give you a tutorial for some fun and fast back to school sewing, a zipper pouch for pencils or other supplies. Amy has recently launched some awesome school patterns, the Star Student Backpack and the Star Student Lunch Box. 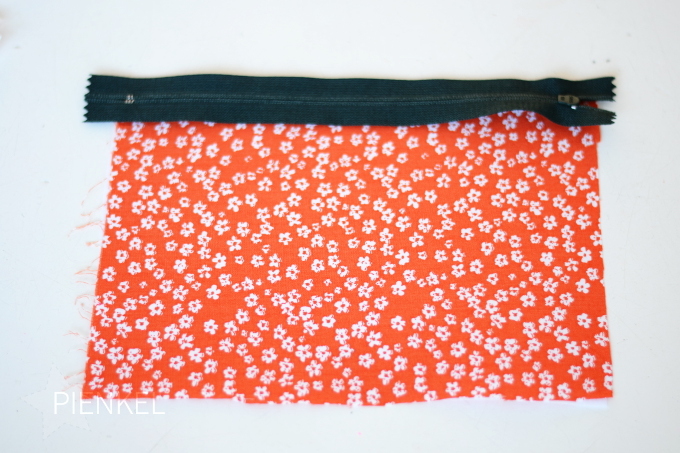 Wouldn’t it be fun to make a matching pencil case? 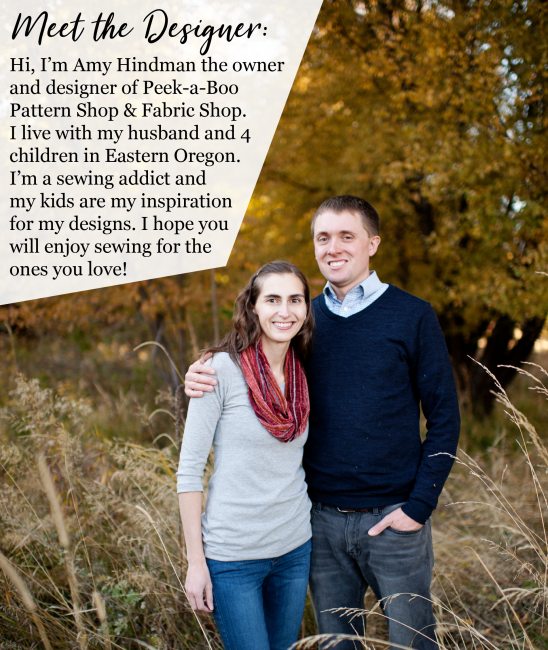 – Fabric: two 6″ x 9″ rectangles of main fabric and two similar rectangles of lining. Any woven fabric will do. 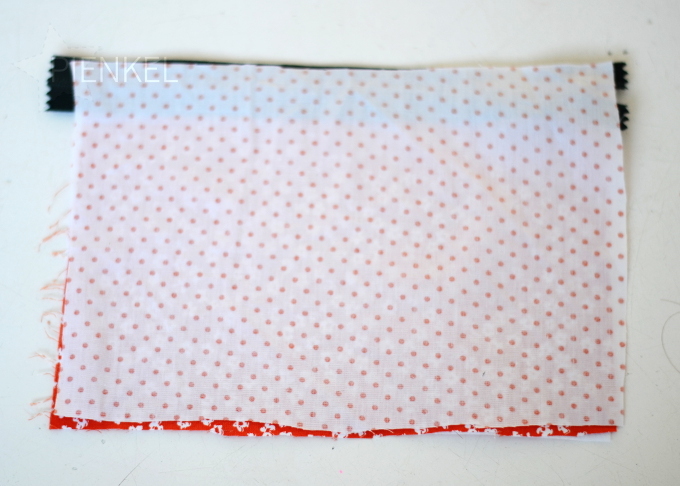 – Fusible interfacing, also two 6″ x 9″ rectangles, unless you use a very heavy fabric, then you can omit the interfacing. 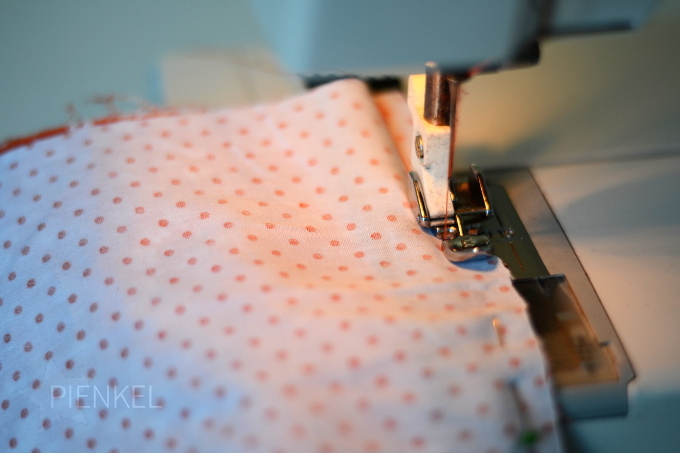 – Usual sewing supplies: thread, pins, iron, scissors etc. First, iron the interfacing onto the wrong side of the main fabric. 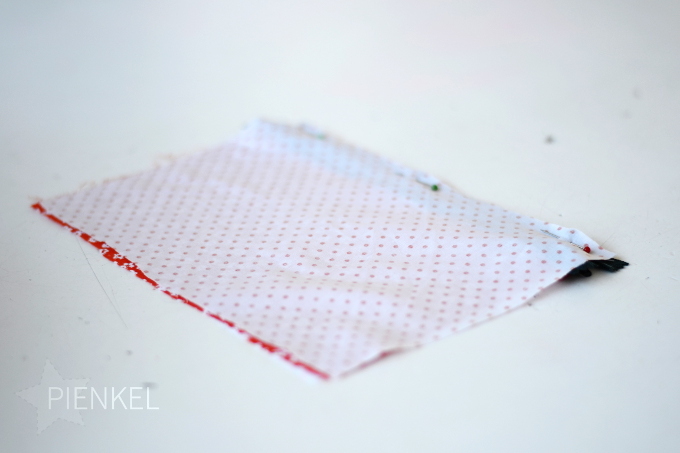 Then, place the zipper on top of a main fabric retangle, right sides together. Center the zipper, so that the stops on both sides are at a similar distance to the edge of the fabric. 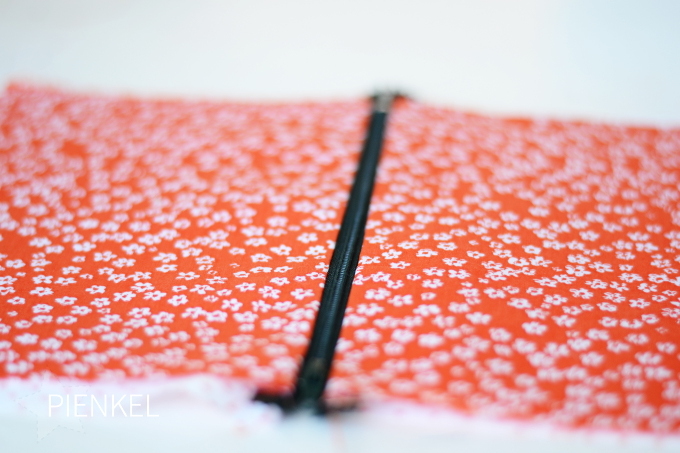 Align the long edge of the zipper tape with the edge of the fabric. 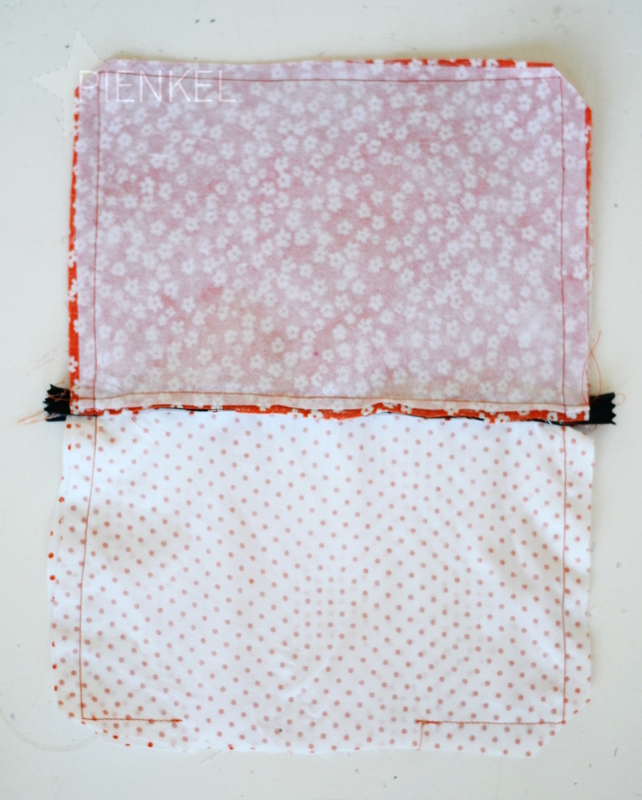 Place a rectangle of lining on top of the zipper, with similar alignment, right side of the fabric down. 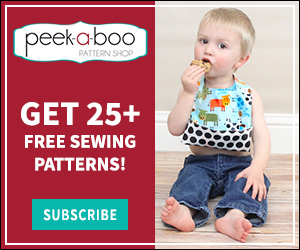 Using a zipper foot and a straight stitch, sew the zipper into place. Repeat this procedure for the other side of the zipper. After opening up your fabrics, it should look like the photo above. 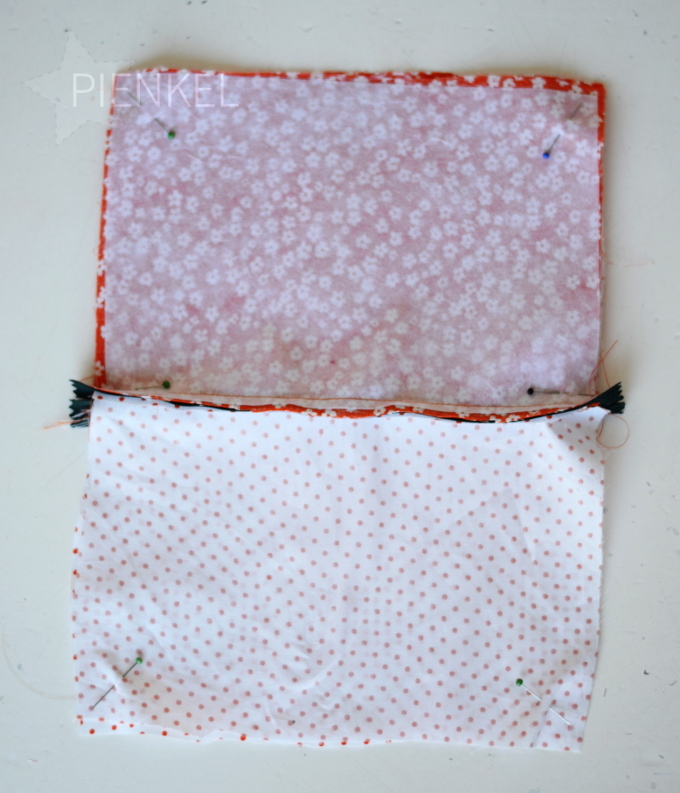 After opening up the zipper, pin the two main rectangles together, right sides together and all edges aligned. Pin the two lining rectangles together in the same way. Make sure the zipper tape and seam allowances are pointing towards the lining. Sew along the edges, starting at the bottom of the lining, all the way around the main fabric, back to the bottom of the lining. Leave an opening to turn the pouch. Clip the corners to reduce bulk (see photo above). I made not only pencil pouches this way, but pouches for in my girl’s gym bags as well, to store her necklace during gymnastics, and pouches for a friend of mine who works in a restaurant and uses them as a wallet to collect her tips. So go ahead and make a bunch, they’re great scrap busters and awesome gifts. Do you have other fun ideas to use or gift these pouches for? Please let me know in the comments! Mother of three cute little monsters (1, 4 & 6), married to one, living on a tiny island in the Netherlands, enjoying home, sewing machine and creating! 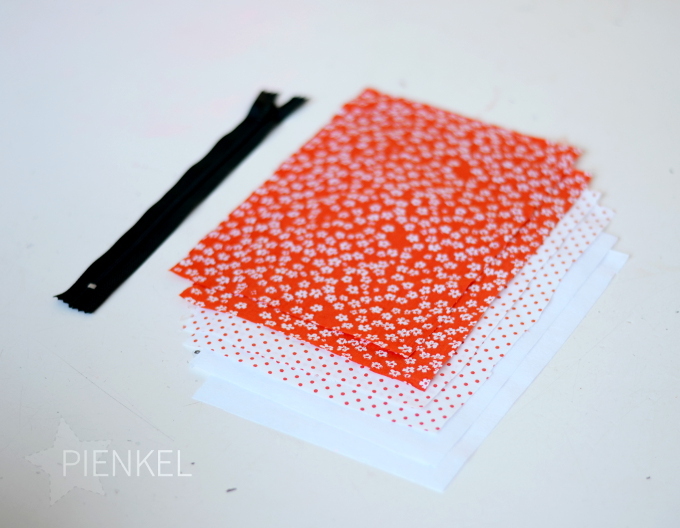 I blog about my creations and the rest of my life at www.pienkel.com, you're very welcome to visit me there! 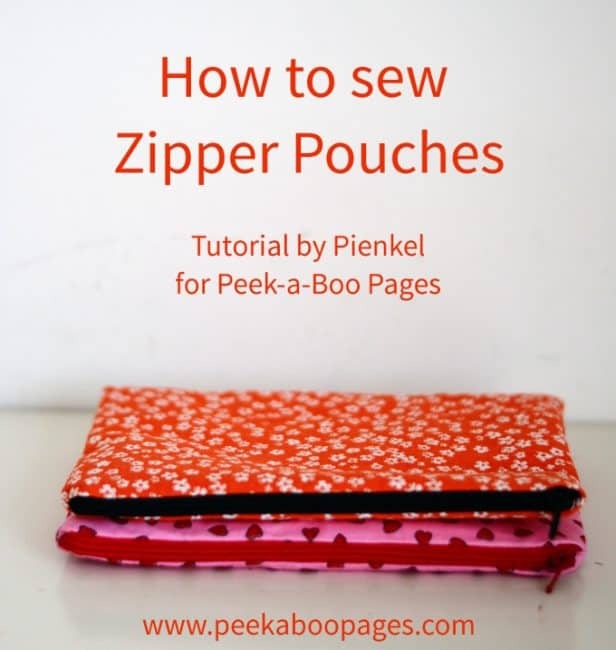 I will be using this tutorial to make zippered pouches to organize stuff in my purse and our diaper backpack. Thanks! Good idea! I’d love to see how they turn out!